When you've been covering CES as long as I have, you learn to take comfort in patterns. It's the only way to jump into the chaotic abyss and come away unscathed. There's a pattern to my travel plans, from lodging to dining to transportation--all to avoid taxi and shuttle-bus lines at all costs. There's a pattern to how I plan my show schedule. For instance, never do the Central Hall on opening day. That's where the Samsungs, LGs, and Sonys of the CE world reside, so that's where everybody goes first. Don't go there first. 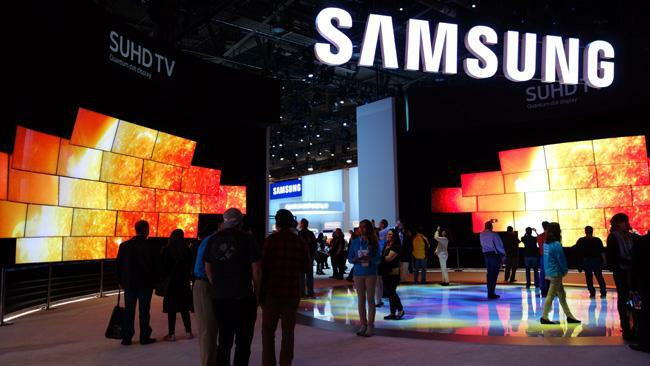 Last year's CES was a buzz year on the video side, as technologies like high dynamic range and quantum dots became a reality in TVs at the highest end of the price range. The improved resolution of Ultra HD TV is fine on its own, but HDR, quantum dots, and other wide-color-gamut technologies provide the improvement in contrast and color that truly complete the UHD picture, so to speak. These are improvements that everyone will be able to appreciate even on smaller UHD screens. In the spirit of embracing predictable patterns, CES 2016 was definitely an adoption year, as the technologies I just described became part of the mass experience. They were all over the show floor, in models that spanned the price spectrum. I would say the theme on the video side was, "More UHD. Better UHD." There was little to no 1080p on display, even though some TV manufacturers will introduce new 1080p models this year. The show kicked off with the announcement of an official UHD spec from the UHD Alliance, a consortium of content providers, manufacturers, and technology companies that formed last year to create a UHD roadmap. The Alliance has launched a certification process to designate Ultra HD TVs (and other products and services) that meet certain performance criteria (in areas like resolution, peak luminance, black level, and color gamut) and created an official Ultra HD Premium logo that consumers can seek out. Not surprisingly, new TVs from companies like Samsung, LG, and Panasonic have already earned the certification, given that those companies are all part of the UHD Alliance. Certified or not, UHD TVs were everywhere, and a good portion of them featured some type of High Dynamic Range and Wide Color Gamut capabilities. Last year, Vizio and Philips were the primary supporters of the Dolby Vision HDR approach, while companies like LG and Samsung embraced a more open HDR standard. 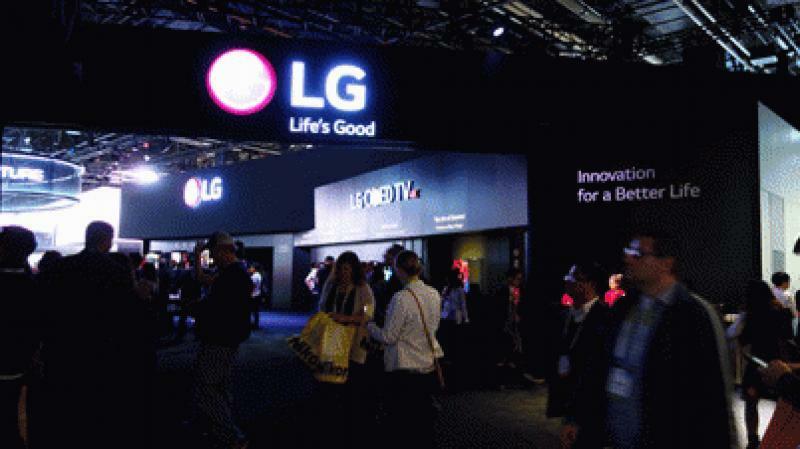 This year, LG became the first company to incorporate both types of HDR capability, announcing a partnership with Dolby to add Dolby Vision to its premium OLED and LED/LCD TVs. Likewise, TCL has thrown its support behind Dolby Vision. What about content? Those developments don't mean much until a meaningful amount of UHD content arrives, and here's where things really get exciting for videophiles. Samsung, Panasonic, and Philips all had Ultra HD Blu-ray players on display, with Samsung and Philips touting a spring release and an asking price of $399.99. LG likely won't introduce a player until later in the year. The Samsung model is already available for pre-order through the likes of Best Buy and Amazon. On the software side, Sony, Fox, and Warner Brothers have all announced their first round of Ultra HD Blu-ray discs, many of which can be pre-ordered on Amazon for $30 to $35. Titles include The Martian, Mad Max: Fury Road, San Andreas, The Lego Movie, Kingsman: The Secret Service, and X-Men: Days of Future Past. Netflix will soon stream Dolby Vision content, beginning with the series Marco Polo. Dolby now has partnerships with MGM, Warner Brothers, Sony, and Universal to introduce Dolby Vision titles. That's what's happening on the video side. How about audio? Once again, wireless was huge. More audio/speaker companies are embracing wireless multi-room audio platforms, particularly DTS Play-Fi. McIntosh launched two Play-Fi components (the MB50 player and RS100 speaker); Klipsch showed off a new Play-Fi lineup of speakers, soundbars, and amplifiers; and Paradigm, which first introduced its Premium Wireless Series based on Play-Fi back at CEDIA, had some of the products in action in the company's demo suite. (Check out our review of the Premium Wireless Amplifier here.) Lenbrook, which owns the PSB, NAD, and Bluesound brands, showed off a whole-house NAD electronics setup that incorporates the Bluesound hi-res-capable streaming platform. And Riva Audio, which impressed us with its debut Turbo X tabletop Bluetooth speaker, gave us a sneak peak at a complete wireless multi-room audio lineup that will be out later this year. More companies are also embracing wireless surround sound setups. Klipsch has been showing its WiSA-based 7.1-channel setup for a few years now. Polk and Definitive both announced that their Play-Fi speakers can now be set up as wireless surrounds in a multichannel system. Samsung introduced its first Atmos-capable soundbar, which comes with wireless Atmos-capable surrounds. In other Atmos news ... Unlike CEDIA where almost all of the Atmos setups used down-firing in-ceiling speakers, the CES demos and announcements focused on up-firing speakers and speaker modules. Definitive demoed the A60 Atmos modules sitting atop the popular BP-8060ST floorstanders. Klipsch has a full Atmos-capable system that we've already reviewed. And PSB and ELAC are two companies arriving at the Atmos party with add-on Atmos speaker modules. Finally, there's hi-res audio. There was no shortage of high-end and high-performance headphones, headphone amps, and DACs on display to take advantage of higher-quality digital music. The MQA format is gaining traction, too. MQA allows hi-res audio files to be "folded" in such a way that they aren't much bigger than a CD-quality file; the authentication process at the device end then unfolds the file to play at high resolution. Plans are still in motion for Tidal to introduce hi-res MQA streaming, and several entities--including Bluesound, Aurender, 2L, and OnkyoMusic--have added support for MQA files. Now that we've painted the big picture of CES 2016, we encourage you to check out the accompanying photo slideshow to get specifics on some of the new product introductions.